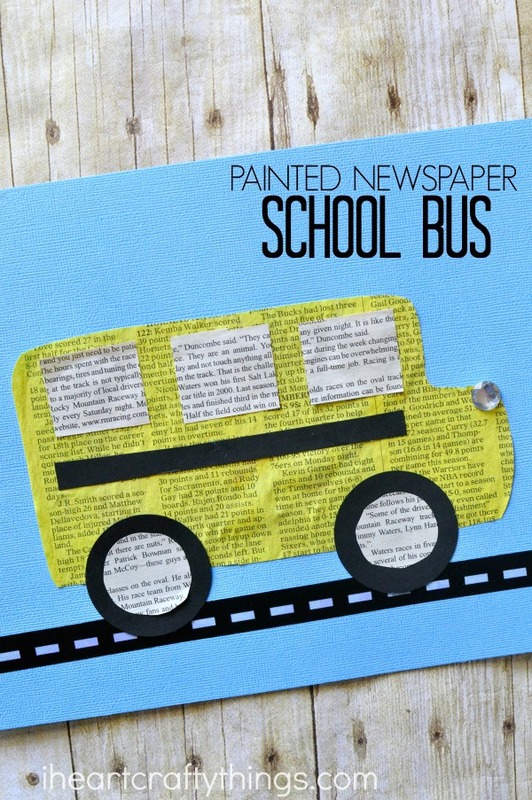 It’s only a few more weeks before school starts and we are gearing up with this fun painted newspaper school bus craft. If you’ve never tried watercolor painted newspaper before, it’s a must! You will instantly get addicted to the bright, bold colors of the liquid watercolors on newspaper. 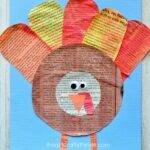 We have had fun all year long making newspaper crafts. 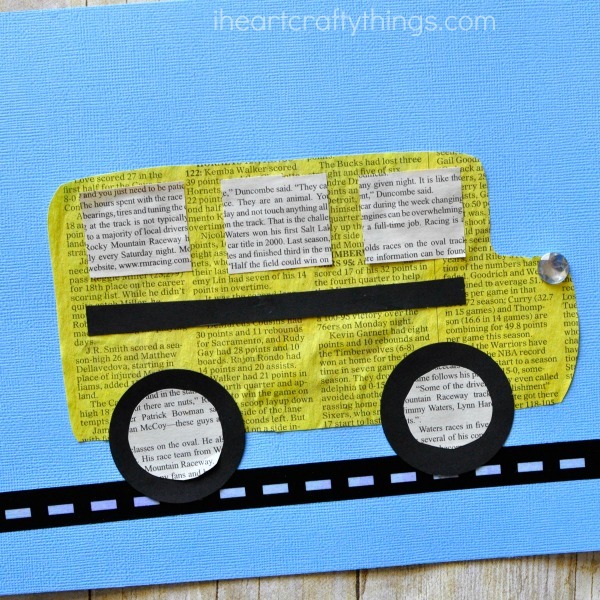 This school bus craft is no exception! 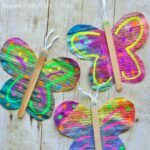 It’s simple and fun and perfect for preschoolers and Kindergartners who are excited to be starting school this year. 1. Start by painting a section of your newspaper with yellow liquid watercolors. Set it aside to dry. It will take a few hours. 2. Cut off a piece of your black washi tape and stick it onto the bottom of your light blue cardstock paper. 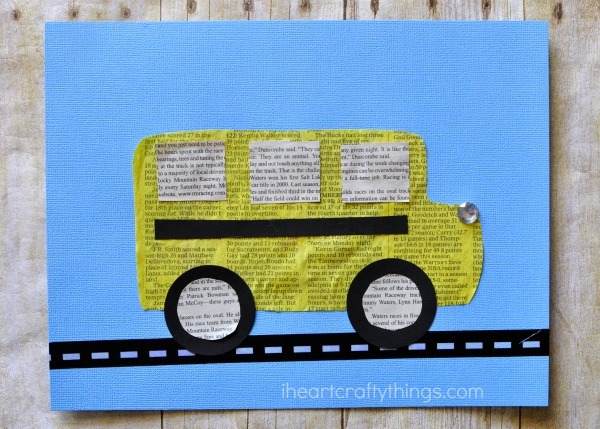 When your painted newspaper is finished drying, cut out the shape of a school bus. Glue it above your washi tape. 3. 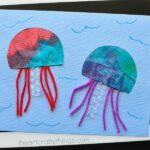 Cut out two wheels and a thin black strip from your black cardstock paper. Glue the wheels at the bottom of your school bus craft and the thin strip in the middle of your school bus. 4. Cut out windows and wheel rims from your unpainted newspaper and glue them onto your school bus. 5. Finish your painted newspaper school bus craft by gluing a clear acrylic jewel at the front of your bus for the headlight.